Organize your school life and be more productive with Andrea Dal Cin's School Planner Pro. 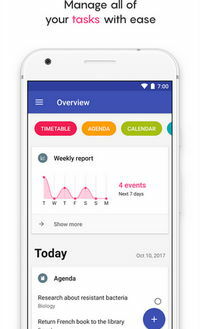 No matter what education level you're in, this app can help you plan each day throughout the year. This app even allows you to record lectures and organize them effectively. You can also save your teachers's coordinates (phone, email, office hours, etc), as well as sync agendas between devices and back it up to Google Drive. 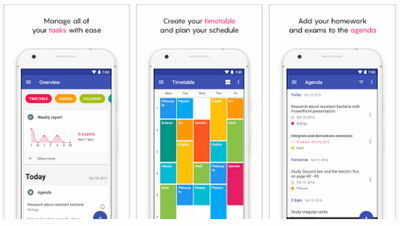 Made in Material Design, this school planner is the perfect eye candy! enjoy!